Changelly, the leading instant cryptocurrency exchange platform, officially announces Ilya Bere to subside Konstantin Gladych as the Chief Executive Officer beginning Sep. 1, 2018. 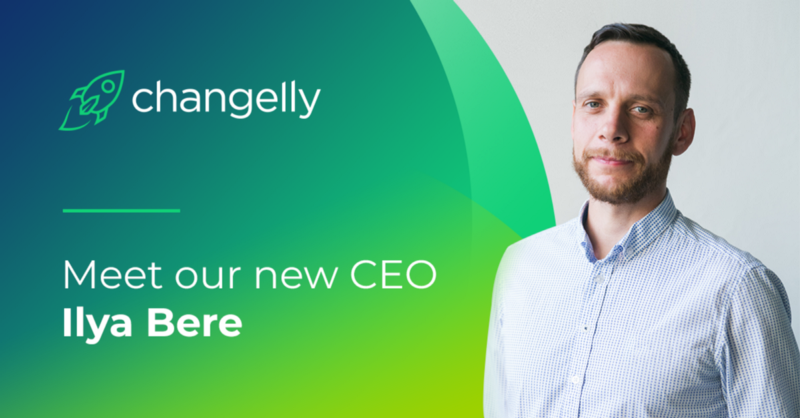 Ilya Bere, the former Chief Operating Officer of the company and a seasoned leader with a proven record of accelerating the companies’ revenues and innovation, joined Changelly in July 2017. Bere’s roots in digital and information technology go much deeper than his time at Changelly, however. After obtaining the Computer Science degree, Ilya spent over ten years working in Business Development and Operational Management in the days of rapid growth of Information and Communication Technology (ICT) projects. During his tenure as Changelly’s COO, Ilya made a significant contribution to navigating Changelly through the turbulent times of the rise and fall of the crypto market. “One of the first steps is to get Changelly incorporated in Malta. Nowadays, it is the hub of the cryptocurrency world and one of the most crypto-friendly countries. Malta also incorporates a lot of crypto business including one of our largest partners, a prominent crypto exchange — Binance. We are seeking full compliance with the local legal framework which seems to be more favorable for pursuing our agenda. In this regard, Malta is the best area for us to operate from and grow our partnerships worldwide.”, says Ilya. Today, Changelly is considered to be one of the most reputable and efficient non-custodial instant cryptocurrency exchange services on the market with over 100 digital assets onboard and 2M users. The service proudly partners with the most significant market players, such as Binance, Exodus, Jaxx, Coinmarketcap, and others. The platform provides its API integration for wallets and other exchange platforms to empower their functionality with Changelly’s features. “The pace of change in today’s cryptocurrency market is exceptional. I am pledged to provide that Changelly not only stays at the leading position of the industry but also continues to innovate and deliver the very best quality products and service to our customers as we have always done.”, says Ilya. “Thank you all the Changelly team! It was amazing years together. We’ve built huge sustainable business. Passed through the exponential growth. Even slept in the office. Served over 2M users worldwide. I’m proud of we did. Time to move forward with my new project! Your former CEO.’’, posted Konstantin Gladych on his Twitter.